Anyone living close to the energy of a child knows there are profound life skills that adult carers can nurture in children that empower them to grow up, more open to the guidance of their felt senses. As more adults come to understand the advantages this can bring to themselves and the children in their lives, this 'self-empowerment' of children will spread. By supporting each other worldwide, we can help children have the intrinsic motivation and support they need to bring something new into the world. “I really need some support!” said Rex - with a huge sigh. This came during my third session with a 13 year old boy. So . . . what would you do with such a personal question when you see a boy before you asking for help? His parents are divorced, he has a low opinion of himself and he experiences difficulties with learning. So we sat there . . . each of us being with the other, being with his question of support and noticing nothing yet in his body. This was an important moment in the process. So despite my inner “Oh God ~ what do I do ?”, I simply reflected this back to him, that he noticed that there wasn’t a bodily reaction yet, and that my intervention may have come too soon. “It’s going up and down … like a ball … no, it’s more like a boomerang . . . bumping against my ribs...they are holding this in that place…like a prison cell.” I saw that this also touched him. I reflected his words and non-verbal expressions, and just paused… as he was really connected with this part of himself. Because our time was almost finished, I invited him to check inside if this needed something more, and how would it be for him and for that part in his chest to end the session…His hand was still on his chest. At the end I invited his attention inward, to sense the first issue he had brought forward ( I really need support!) and to notice how it is right now. And he said, with a huge smile on his face, “This is really sooooo nice.” With one hand still on his chest, he said goodbye with a firm handshake. (This whole session lasted around 30 minutes). This example carries much of the essence of Children Focusing. The child can make and hold connections with their implicit knowing, self-governing, with what can be sensed in the body and with their Felt Sense of life experiences. Sometimes this is implicit, just waiting for the right moment of attention and sometimes it needs a bit more exploration. The aspect of the reflection ~ the mirroring and pausing ~ is for me essential and is my own basic attitude. It is a never ending process of development where the guide stays in close connection with her/himself through their Felt Sense. 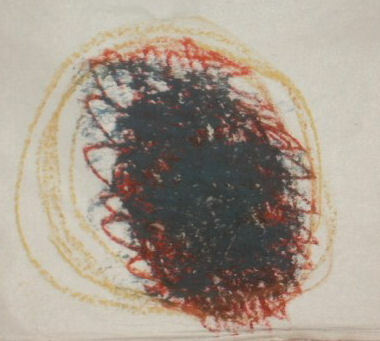 In essence, as a guide I am mostly with my own Felt Sensing, checking how and when to respond and when not to intervene. I am careful with process questions, listening to what may be behind words, attitudes, and behavior, as a way of quietly intensifying and deepening my empathic capability. I must stay with the ‘tension-field’ between structuring and following, always returning freshly to ask inside: "In this moment . . . am I contributing to the developmental process of the child’s personality ?" and/or "Am I where the child is…am I connected with the child?" As a guide, I am asking myself again and again: "Is my saying or doing against…to …for…about…the child?" This attitude helps us to be near and be with a child, in other words: "Is this from ‘the outside to the inside’ of the child, or is this from ‘the inside to the outside’?" Trusting and being connected with the implicit wisdom of the child before me ~ allows me to guide them. I would like to describe the multiple aspects of mirroring. It builds connection, deepening trust, courage and safety in the child as they carry their inner process forward. The mirroring/ reflecting allows for new and surprising possibilities, as the child takes in the saying and telling, something special and new arises expressed through their body. The specific mirroring/reflecting of the guide makes space for sensing behind words and behavior, perhaps for a subtle emotional quality, for a new symbolization that comes without meaning yet to what is symbolized. Mirroring can lead to felt shifts, to a visual change or a discovery when something new comes and is greeted without judgment. Regardless of the age of the child, when a parent, teacher, or therapist has the basic attitude, making space for children’s felt sensing is simple and direct. Children will learn to trust their deep inner sense of rightness, to trust their bodily feeling with its truth and meaning in itself. They will come to involve their bodily felt sensing in their life by listening to it, to know that this feeling implicitly carries a meaning, a story that can help them relate to and deal with their problems. Rather than deny their problems, sorrows, and troubles, or drown in them, they can allow themselves to feel the difficult, sorrowful, scary or angry feelings. They can clear space inside by putting problems outside themselves, through drawing, painting or sculpting the problem or their bodily felt sense of it.The child itself is then the center of understanding of their feelings ~ in the situation they experience ~ and can learn to better concentrate, listen to other children in an empathic way, and also resolve conflicts. Children have a better sense of who they are and manage to communicate better with other children and adults about their feelings, choices and underlying needs. They are better able to protect themselves against the influences of the outside world and also develop a kind of inner radar for what is right/good/supported or wrong/bad/ for their own development. They are calmer and more able to stay in contact with their boundaries. And they create, new possibilities and choices. They are able to express their feelings, not only in words, but also in many other ways. They can develop greater inner safety and a strengthened identity, giving them a grounded presence in many different situations.